Yesterday I attended a conference marking 100 years since a very unusual doctoral dissertation. Rav Yitzchak Herzog, Chief Rabbi of Israel, wrote his dissertation on the identity of the chilazon, the snail from which the tekhelet dye is derived. The conference, organized by Ptil Tekhelet, featured a very broad range of speakers, from rabbis to archeologists. Rav Herzog was a truly extraordinary person. He was ordained by Ridvaz, who pronounced him one of the world’s outstanding Talmudists. Rabbi Herzog’s elite group of disciples included Rabbi Yechezkel Abramsky, Rabbi Shlomo Zalman Auerbach (whose work Ma’adanei Aretz bore the approbation of Rabbi Herzog), Rabbi Shmuel Wosner, and Rabbi Yosef Shalom Elyashiv. At Rav Herzog's funeral, Rabbi Aharon Kotler of the Lakewood Yeshivah eulogized him as a “prince,” and spoke of his extraordinary Torah scholarship. See this link for a fascinating account of regarding Rav Aharon Kotler and Rav Herzog's passing, and see Rav Kotler and others at Rav Herzog's funeral in the picture at right. Rabbi Shalom Gold of Har Nof, who received ordination from Rav Herzog, told me that Rav Herzog was also proficient in numerous languages, and moreover was a wonderfully kind person. Justice Neal Hendel (himself a fascinating person - an American Orthodox Jew who studied under Rav Soloveitchik and is now a judge on the Israel Supreme Court) spoke about Rav Herzog's approach to halachah. Amongst other things, he mentioned how it is so important, and yet so difficult, for a posek to get the full picture on the cases that he rules upon. Rav Herzog wanted to determine the correct approach to techeles - and so he studied marine biology! Regarding techeles, there's a vast amount of literature on the website of Ptil Tekhelet. I haven't had time to go through more than a fraction of it, but as I once wrote in a post regarding my own chilazon-hunting expedition, it's clear to me that the Murex trunculus is indeed the correct candidate. Those who claim otherwise inevitably turn out to be of an anti-rationalist persuasion. However, I do not myself wear techeles, for reasons that I will discuss on another occasion. The presentations from the conference will soon be available for download from the Ptil Tekhelet website. And now for something completely different: There are readers of this blog who strenuously object to everything that I write, and I would like to ask them to attempt to employ this policy once again. I am very interested to know if there are any early mentions of the phrase "l'iluy nishmas" or the concept thereof. (I am not referring to the concept of atoning for the departed via charity, but to the concept of elevating the soul, particularly via Torah learning.) My hunch is that it does not appear in the period of the Rishonim at all. Please let me know if I am wrong! Rabbi Slifkin, you promised us years ago that you would reveal you reason for not wearing tcheiles and we are still waiting. How about doing it now in a comment or in your next post? One reason for doubting whether Murex trunculus is the chilazon is the added claim that argaman is also produced from the same source, which (I have heard argued) is not mentioned in the Gemara as might have been expected. Do you know why this claim is made about argaman, or whether it is more likely from Murex trunculus or from Murex brandaris instead? Coincidentally, this issue was in the news today! Oh, I see now that the article mentions that the researcher presented her findings at the conference you attended. Rabbi Weinreb offered an analysis of the resistance to tekhelet. He said something very interesting, saying that just like people repress bad, they also repress the sublime. I find the way in which the chareidi world totally ignores the issue of techeiles to be quite instructive. We all know how chareidim love to portray themselves as totally committed to performing halacha, without compromises or excuses, no matter how big or small the halachic requirement (or custom) is. Which is why it is common to see them making a fuss about something as seemingly trivial as what hand to hold their kiddush cup in or how big their kipa must be. Yet, amazingly, on this issue, which is a mitzvah d'oraysa chiyuvis, they seem not the least bit concerned about it. Yes, I know there's debate about how to do it right, but they seem totally disinterested even in the debate! What happened to that vaunted concern about fulfilling god's will to perfection? I've seen chareidim correct others that their tzitzis weren't the right fabric (wool vs cotton), that the strings weren't tied the right way, that the hole had to be a certain way (V-neck vs round hole), that the strings were not knotted the right distance from the corners, that they weren't wearing the tzitzis "out", that they were wearing them out, but not the right amount or not in the right way, that they should or shouldn't have stripes on the fabric, that they shouldn't have stripes of a certain color on the fabric, etc, etc. There seemed to be no end to the halachic minutia of tzitzis which they were concerned about getting exactly right. But when I suggested that if they were so concerned about performing the mitzvah of tzitzis so perfectly, wouldn't it make sense to look into wearing techeiles too, they laughed at me like I was an idiot. Seems quite inconsistent to me. I don't mean to take sides on this, but do you have a rule on this blog that your opponents must be bashed in every post? In an otherwise beautiful post, encapsulating some of the defining moments of Rav Herzog's life, you feel the need to take a jab at Rabbi Meiselman. Why? We know that he thinks your views are heretical, we know you disagree, and nothing either of you will say will change the other's mind. So why don't you keep the Rabbi Meiselman polemics separate, and don't allow your machlokes to make its way into posts such as this one? This way when we're in the mood for a machlokes we'll read those posts, and when we just want to hear something nice about Rav Herzog, we could read this post. This is a timely post, for me. I'd read a lot of the polemics on the issue in the RJJ articles and follow up letters about 12-13 years ago, which reappeared again in Hakirah about 3 to 5 years ago. Having reviewed those (as well as much other material on the Ptil website) it is clear that the murext trunculus in indeed the chilazon. That mentors of mine also wear it emphasizes the point. So I bought Ravad techeles when I was in NT the other week, and put them on according to the Sefer Chinuch. Wore them for the first day yesterday. Beautiful. There has been a lot of ink spilled on the subject of techeles, but the truth is, all the objections to it are just in the nature of kashas - not tiuvtas, not bomb kashas, just plain old kashas. Nitpicks, such as the murex does not accord with a reading of a Gemara according to this rishon or that. You can ask similar kashas on literally everything we do, from baking matzos to wearing tefillin, because it is not possible that everything accord with every statement of every one mentioned in chazal, according to every understanding. One of the most strenuous objectors to the murex, who's published many articles against it, turns out to be a radzyner chassid, a fact not mentioned in his polemics. The others are from the yeshivah world. It's poshut that the resistance to wearing it in the charedi or yeshivah world is just a matter of politics, because techeles didn't originate from them. [Just like translations were treif when Soncino or Steinsaltz were doing it, but were suddenly celebrated when Artscroll started it.] But the truth is, it's not so much resistance as it is ignorance. The average yeshivah graduate may be - maybe - vaguely aware that the mizrachi community wears them, but if so, its only a vague awareness that doesn't concern him. And to be fair, this is true in the reverse about other things that get the Charedi world all excited, like Deri lulavim etc. Both communities are kenanyhora very large, and for the most part are not terribly curious about the other. It's not malice, its sheer ignorance. "There are readers of this blog who strenuously object to everything that I write, and I would like to ask them to attempt to employ this policy once again. I am very interested to know if there are any early mentions of the phrase "l'iluy nishmas" or the concept thereof." I left some Chazal sources in my long post on what-is-best-aliyah-for-neshamah, I remember the Avudraham or מחזור ויטרי brings them - if I'm not mistaken. I believe that is known that the snail producing Tyrian Purple is Bolinus brandaris. Though you can also produce a purple from Murex trunculus, it is much bluer. Without addressing the reasons for techeles, how can we truly determine its correct source. Maybe marine life was the only source for blue dye available over 3000 years ago. Maybe as stated in the Torah that a tread of BLUE was required, regardless of its source. Determinations made without all the details is not a RATIONAL inquiry. You [maybe] able to determine what the Gamara is referring to, or what was used initially for blue dye, but will it be determined if it is so commanded by the Torah? I think the concept of עילוי נשמת comes from the famous Midrash where Rabbi Akiva (or Raban Yochanan ben Zakai) meets a dead person who tells him that if his son learns Torah and does mitzvos, he will be elevated from gehinnom to gan eden. The Midrash is quoted by the Menoras HaMaor and it's also brought in Tanna Devei Eliyahu Zuta. Take a look at Y.D. 366:4 in the Biur HaGra 3 for the sources. Molluscs from the Murex (Muricidae) family do not match the description of the chilazon, the source of tekhelet described in the Talmud. The tests described by the Talmud distinguish indigo from tekhelet, which means that the Muricidae cannot be the source of Tekhelet. The source for argaman was well known (e.g., murex shells featured on currency) but nobody ever thought to mention that it was *also* the source of tekhelet. The Ptil Tekhelet technique for producing blue dye relies on techniques that were not available 2000 years ago. Joe, there are answers to all of your questions. Please read them on the ptil techeiles website. To say that R' yecheskel Abramsky was a disciple of R' Herzog is a total mistake. Check your info. 1) The only descriptions found in the Gemara are vague (it's "bria" is like a fish) and fit the Murex Trunculus as well as anything else. Since "hilazon" simply means snail, and is identified as such in Midrash Shir haShirim, the Murex Trunclus actually fits the one specific description we have perfectly. 2) The Gemara gives two tests for distinguishing genuine Tekhelet from Kala Ilan. The dye from the Murex Trunculus passes both tests. The difficulty is that, as far as we can tell, so does Kala Ilan (plant indigo). It would appear that this has something to do with processing mechanism in the ancient world that we know very little about it. It is not an argument against the Murex Trunculus. 3) Because Argaman comes from the Murex Brandulas, which looks quite different. Speaking as a rare example of someone who wore tekhelet fot many years whilst living in a Haredi community, I can tell you that the overwhelming attitude was simply complete apathy. Real-life Haredim are primarily concerned with being "heimish" enough that their children can get into the right school and then get a shidduch. Since tekhelet has nothing to do with that, it is simply not on their radar. Of the dozen or so people that actually expressed an opinion, the objections were the following (in order of frequency). 2) The Zohar indicates that the Murex Trunculus is not correct, and the Ari, as well as various Hassidic Rebbes, have said the hilazon will not return until the days of the Moshiach. 4) "Klal Yisroyel" (i.e. Haredim) do not not wear it ergo you are separating yourself from "Klal Yisroyel"
(1) is simply sinat hinam and (2) and (3) are heresies, one being a variant of Sabbateanism/Frankism (particularly prevalent among Hassidim unsurprisingly) and the second something even weirder. (iii) The Murex Trunclus meets the criteria established by Rav Herzog for production of kosher tekhelet (even if, perversely, one wanted to argue that it was the not the same hilazon used by Hazal). I mention this because there is a teshuva by Rav Aviner available online in which it quickly becomes clear he is unaware of this information. Joel: Maybe because by the time of the Gemara, people weren't as concerned about argaman, as its only halkhic use is in the Beit HaMikdash. Isaac: That's called Torah SheBeAl Peh. Chazal didn't just make it up. Karaites say you can use any blue dye. I'm proud to say I violate the Brisker Rav's cherem on Heichal Shlomo almost every morning when I daven Shacharit in the building. Which talmudic descriptions does it not match? In fact the tests do distinguish between plant indiho and murex trunculus indigo as can be seen here http://www.tekhelet.com/pdf/hellmann.pdf on page 88. You are assuming that the Murex trunculus is the source of argaman. In fact the vast majority of commentators say that argaman is red not purple. And even if it is purple it is more likely that it is made from Murex Brandaris than Murex Trunculus which is more blue. Regarding the techniques, it is largely irrelevant if the technique they use now was doable in ancient times, because we have archeological evidence that the ancients dyed blue with murex trunculus, so they obviously had some way of doing it. Rabbi Slifkin most likely doesn't wear techeles because he believes in following the mesorah of Judaism even if it might be slightly mistaken on occassion. However, I think techeles should be an exception to this rule. Techeles was not neglected by the masses or leading rabbis. It was simply lost altogether and only rediscovered 25 years ago. I submit, Rabbi Slifkin, that the case of techeles is very different than the viability of treifos or the permissibility of killing lice on Shabbos. Q. The Yerushalmi (p. 8a, ch.1 halacha 3) says that the hillazon has bones. The Murex doesn't have bones, so how do you explain this? I dont find that persuasive. I find it more likely that the Yerushalmi had something else in mind. Is that anti-rational? Hedyot, I don't agree with your point about charedim and techeles. They don't care about techeles because they are particular about halachos that are part of their mesorah. If the techeles was discovered through research it is not a part of their mesorah, and they won't deal with it. It is perfectly consistent with their approach to halacha/mesorah. It is similar to the Chazon Ish's statements on newly discovered texts. It's all interesting academically but he would not use a newly discovered text to overturn centuries of halacha. I suppose you could argue that it is not a "rational" approach to halacha. This argument fails though because ultimately halacha is not rational it is based on emunah or mesorah, so you are right back to wear you started. E-man: A couple of years ago I read every single article on the Ptil Tekhelet website. I've also read Rav Herzog's dissertation, a lot of the Radziner Rebbe's writings on the subject, and several secondary texts including The Rarest Blue and The Royal Purple and the Biblical Blue, both of which I own. I studied natural dyes and dye chemistry, and read as many Classical references on dyes and dyeing as I could find. I'm presently studying Akkadian so that I can have an informed opinion on the Babylonian dyeing industry. I think I've done enough research to say that the Ptil Tekhelet answers to the issues I raise are unsatisfactory handwaving, and that their variety of indigo isn't tekhelet. In a lecture I heard from Rav Adam Mintz, posted on his website, he noted that the Midrash on Rabbi Akiva and the son does not appear prior to the Middles Ages and is believed to have originated at that time. Rav Herzog himself did not think that murex shells were the source of tekhelet, so it's a bit funny seeing the Ptil Tekhelet foundation sponsoring a conference in his honor. "Like you, I accepted the Copernican position several years ago and discovered from thence the causes of many natural effects which are doubtless inexplicable by the current theories." -- Galileo to Kepler. Re. Rabbi meiselman's omission of Rav Herzog's view - This is false. He quotes him and discusses his view in considerable length on pg 101. Joe, first, color me skeptical that such a great scholar is posting anonymously on a blog. Furthermore, "I've also read Rav Herzog's dissertation, a lot of the Radziner Rebbe's writings on the subject, and several secondary texts including The Rarest Blue and The Royal Purple and the Biblical Blue" is not something someone who knows the topic would write. The Radziner wrote three short books on the topic, which are now published in one volume. (They were selling it at the conference.) You can't really read "a lot." And you seem not to realize that "The Royal Purple and the Biblical Blue" *is* R' Herzog's dissertation. James: It's trying to reconcile an incorrect Talmudic statement about science with reality. Not so bad. eLamdan: We're free to be as rationalist as we can. We should be. At a certain point we rely on emunah (although some Rishonim would disagree even with that), but we should be rational up to that. I dont understand. Which Talmudic statement is incorrect? Surely it is not the Yerushalmi describing the hilazon for our knowledge of the species derives from Talmudic descriptions. So, lets ignore the other "scientific" statements and just ask whether the Murex has bones. It doesnt. Therefore, the Yerushalmi must be referring to a different species. It seems like the starting point for discussion is the acceptance of Murex as hilazon. Every source to contrary is either irrational or explained away with strained logic. I havent gone through all of the other questions but I would hope that the answers were better than this one. Heresy? Really? By and large, I think the first person to accuse the other of kefira is usually the irrational one. Jr - thanks for the correction, R. Meiselman does indeed quote R. Herzog's position regarding Chazal and science, although he does not mention his position regarding Bereishis. lets ignore the other "scientific" statements and just ask whether the Murex has bones. It doesnt. Therefore, the Yerushalmi must be referring to a different species. The Gemara says that the lion has a gestation period of three years. It doesn't. Therefore, the term aryeh must be referring to a different species. The only sea creatures that have bones as we moderns know it are fish, sea snakes, sea turtles, and sea mammals. None of them produce a blue dye from blood or any other secretion. The most tangible source for the Rabbi Akiva midrash is Masekhet Sofrim. Joel Rich, The Menoras HaMaor quotes the Midrash in the name of the Tanchuma. The Biur HaGra states clearly in the source that I gave that it's known that our Tanchuma is missing a lot. Also, the Tanna Devai Eliyahu brings a shortened version of the same Midrash saying that it happened to Rabban Yochanan ben Zakai instead of Rebbi Akiva. In short, there is no Rishon or Acharon who expresses any doubt regarding the authenticity of the Midrash. The claim that a mitzvah, any mitzvah, no longer applies because of kabbala or some hashkafic opinion you have, is the about the only thing that is absolutely 100% definitely heresy. I will now answer your question: we know the Hilazon was a snail, no snails anywhere in the world have or have ever had bones. Therefore it follows that this Yerushalmi must be interpreted differently or that it is incorrect. Given that we know that (I) the MT produces a dye with all the right characteristics and (ii) that it was used to make dyes at the time of Hazal and (iii) Hazal emphasised at length that we must not use invalid sources of tekhelet but (iv) they never once warn us against using the MT, why don't they? Then answer the following questions: where has the "real" Hilazon gone? Why do we find no trace of it in in any archaeological or historical sources? Anyway, I can attest to the fact that the reason Haredim do not wear Tekehlet has nothing to do with these questions as to identification. The closest someone got was claiming that it was the wrong colour since Rashi says it is green. The real reasons are apathy, sinat hinam and heresy, in that order. With the more intellectual types the order becomes reversed. First Last wrote:Which talmudic descriptions does it not match? I start with the principle that a description is meant to identify an object: i.e., you do not need to reason backwards from the object itself to justify the description. This means that the phrase "gufo domeh l'yam" must be a way of distinguishing a chilazon from all the other things that a chilazon might conceivably be: an oyster, a squid, a jellyfish, and so forth. R' Hellman says that the phrase is justified by the fact that a murex, when covered with algae, looks like the bottom of the sea floor when that is covered with algae. But really, even if this claim is true (and it isn't, at least not generally) would it be a useful description? Of course not: if the sea floor is covered with algae and murex shells are covered with algae then everything on the sea floor is covered with algae. The phrase "gufo domeh l'yam" necessarily means something that would have made a listener say "Oh, one of those." Look at the two samples allegedly used for the test. Do they look at all similar to you? The one which faded is a thin, loosely spun thread. The one which didn't is a tightly twisted cord. Of course dye washed out of the thread faster than the cord. This was not a scientific test; it was one which would inevitably confirm the author's prejudices. Furthermore, the author apparently does not understand the nature of indigo-related dyes. If the test is supposed to reduce indigo while leaving dibromoindigo behind, the indigo should have been removed from both samples, leaving only dibromoindigo and so forth behind. But you can clearly see that the cord is blue - it's still dyed with indigo! If this test did anything, it disproved his hypothesis. Finally, we don't actually have archaeological evidence that people in the Classical period used Muricidae as a source of blue dye. What we have is bluish fabric containing indigo and, apparently, dibromoindigo. It would be very surprising if people used the laboriously-extracted shellfish dye as a source of indigo, when indigo from woad was relatively cheap and plentiful. If the assertion about dibromoindigo is correct then I suspect we're seeing woad-indigo with some admixture of Murex dye to change the color. But I haven't had a chance to study the fabric myself, and the only reports I've read came from researchers who were already convinced that tekhelet came from the Muricidae. Shofet, I asked Rabbi Mintz, and he had no recollection of discussing it. Were you perhaps thinking of someone else? James, I meant the Yerushalmi's statement about invertebrates not living more than six months. Some do. "Therefore, the term aryeh must be referring to a different species." Or the Gemara is wrong. By the way, any statement from before twenty-five years ago, when people began wearing Murex tekhelet, may very well be outdated. The version about R. Yochanan appears in Tanna D'vei Eliyahu Zuta, which dates back to approx. the end of the 10th century. "gufo domeh l'yam" need mean nothing more than that it resembles the sea bed. Which the murex does. it's clear to me that the Murex trunculus is indeed the correct candidate. Those who claim otherwise inevitably turn out to be of an anti-rationalist persuasion. It also contains answers to just about all the questions mentioned above. I didn't say that everyone who accepts the murex is rationalist. I said that, in my experience, everyone who objects to the murex is anti-rationalist. Shu"t HaRashba M"Y Ks"Y, explains Kaddish after burial w/o refering to Ilui Nishmas. Though I've certainly seen a Franch/Ashkenaz Rishon say Kaddish has to do with the niftar. הושיבו ישיבה על קברו, what do the Rishonim there say? I didn't mean to object, just to add information in context. "הושיבו ישיבה על קברו, what do the Rishonim there say? " If I recall correctly, Rashi does NOT say that it was to elevate the neshamah, but rather to bring honor to the deceased. R' Slifkin, You are correct. Rashi does say that it is to honor the dead. However other Rishonim bring the Midrash of R. Akiva or R. Yochanan B.Z. which is the source for saying kaddish and the concept of elevating the soul of the deceased. 1. Chilazon means a snail. Not every chilazon is chilazon shel techeles. See Sanhedrin 91a. 2. Yerushalmi in Shabbos 1:3 is asking a rhetorical question, stating that a chilazon (snail) has no bones or sinew, just like lice (therefor it argues that it should be assur to kill a lice just like it's assur to kill a snail). This is the simple meaning of the sugya and this is how most mefarshim explain it. How do you know that chilazon is a generic term for snail? (I know that this is the case in modern Hebrew, but that doesn't prove that it was used the same way by chazal). A meta-comment: the desire to ascribe bad intentions those with with different opinions and practices seems, unsurprisingly, to cross ideological boundaries. 1) They treat the halacha as "just a matter of politics". 2) They "totally ignore the issue". 3) They "repress the sublime". 4) They are committing "absolutely 100% definitely heresy". My personal feeling is that we all still cling tightly to the sin of Sinas Chinam. I think that those in the "rationalist" camp can do better than that. Why don't people wear techelet despite the preponderance of evidence? > Hedyot, I don't agree with your point about charedim and techeles. They don't care about techeles because they are particular about halachos that are part of their mesorah. If the techeles was discovered through research it is not a part of their mesorah, and they won't deal with it. It is perfectly consistent with their approach to halacha/mesorah. Interesting theory, but I don't buy it. Chareidim come up with all sorts of new chumras, all the time, based on new findings that weren't part of their mesorah. Consider all the new restrictions on bugs in water and veggies, for example. Not to mention the new stuff they come up with that has no basis in anything at all, such as blotting out women from newspapers, or other such nonsense. It's a simple fact, but one which any chareidi will vehemently resist acknowledging: chareidim pick and choose their frumkeit, based on factors other than the ratzon hashem, just like those groups they love to mock for doing the same. "The claim that a mitzvah, any mitzvah, no longer applies because of kabbala or some hashkafic opinion you have, is the about the only thing that is absolutely 100% definitely heresy." Maybe but that is not the claim. The claim is that the lost hilazon will not reappear until the time of the Messiah. Of course, for the majority of those who wear the techelet, I guess that prediction came true as the vast majority of Religious Zionists believe that we are living in the beginning of Messianic times. Perhaps if the Ari would have said that the hilazon would not reappear until the "Reishit Tzemichat Geulatienu" arrived you would be calling him a prophet. Moreover, read the Torah. There are so many mitzvot which we do not perform. There are talmudic laws which we ignore or deem irrelevant because of changing times. Do you still bring the Korban Pesach? It may be likely that the Murex is the hilazon but to think otherwise is not anti-rational or, god forbid, heresy. "It may be likely that the Murex is the hilazon but to think otherwise is not anti-rational"
True, it does not have to mean that. In theory one can weigh the evidence and conclude that it doesn't match. However, to conclude that, one has to believe that all of rabbinic literature is one harmonious whole, and if the MT doesn't match them all, its not the chilazon. And that IS both anti-rational and irrational. As I said above, everything we do has questions. There are major questions on every shiru we have. You think the answer of "nishtane ha-teva" is more convincing than the answers given by Ptil??? You are operating under the assumption that the braisa in menachos is meant as a definitive description of the chilazon to someone who has no idea waht it is. First of all, the Ein Yaakov brings it as an aggadita, and neither the Rif nor the Rosh bring it down. So it may not be so much a literal description in as much as any other aggadita has a deeper meaning. For example look at the gemara's description of the arba minim (Succah 32b, 35b, and 45b). They would hardly be useful descriptions. Furthermore there is no reason to assume that everyone didn't already know what the chilazon was. There is no need to distinguish it from oysters etc. if we already know that it is a snail. Besides, the sea fouling does not cling to other creatures like it does to the murex. But anyway Pliny the Elder, living in the same time period, described the Murex as "resembling the sea in a tempestuous state". The tests are not meant to remove the blue; they are meant to make it fade or make it stronger. If you read The Rarest Blue Dr. Sterman explains the reason(s) why the tests would have different results on plant indigo and murex indigo. But this is also irrelevant because we don't even know if the tests are being done correctly - the Gemara only tells us the ingredients for the tests. Everything I just said is only to address your questions. If you have read all the literature as you claim, you will know that there are very many supports to the murex, as well as the fact that the Shiltei Hagiborim, the Chavos Yair, and the Tiferes Yisrael identified it as such. But regardless of whether or not one can prove what the Chilazon is, there is no halachic reason that says that one shouldn't wear Techeiles, while there are many that say that one should. The gemara in Shabbos 153a (starting bottom of 152b) states that, in an answer to a heretic (so take it with a grain of salt) that within the first 12 months after death, the soul goes up and down, and after 12 months it goes up. It seems like this is automatic after that amount of time. This is why the necromancer was able to summon Shmuel (which, coincidentally, it seems to take literally). But if you look at Rosh Hashana 17a, it would appear that tzaddikkim go straight to heaven, resha'im go straight to hell, and beinonim wait in hell for 12 months while they are "metztzef" and then they go to heaven. Rashi explains metzatzef as crying out in pain, which cleanses the soul, but Meharsha disagrees based on what he thinks the word means, and says it is the prayers of others that cause the soul to go up instead of down. He thinks the Aruch says this. Joe in Australia: Your assumption that the Hilazon baraita is meant to identify the hilazon is contradicted by the fact that the Hilazon baraita does not contain even one specific description that would mark it out from other sea creatures As a description it is completely useless. This is most likely why the Rif does not include in his hilchot katanot. The most plausible plain reading of the baraita is that it is explaining why Tekehlet is expensive. There was simply no need for Hazal to provide a description of the Hilazon because there were no other cretures anywhere in the world that produced a blue dye with which it could become confused. If you wanted to know what one looked like you just had to got to Haifa and ask someone. Again, remember that Hazal would definitely have been aware of the existence of the MT and yet never mentioned it as a source of fake dye. Then remember that there is no evidence whatsoever that the "real" fairy-tale hilazon you are looking for ever existed. James, before I can fulfil the mitzvah of korban pesach, we have to build the temple, which is also a mitzvah. The fact that "orthodox" Jews think they are patur from this mitzvah for all sorts of bizarre reasons (perhaps we have no mesorah for a temple!) means I cannot offer a korban pesach. This is an obvious example of ones. If you think there is some mitzvah that I can perform, which I am not please let me know and I will rectify my behaviour accordingly. At least we can say that building a temple is an extremely daunting prospect that the average man of the street can not just get up and do. Any fool, however, can order up some tekhelet within a week. Frankly, I don't know how someone can "read" the Shema twice a day and then argue that somehow it's OK just not to bother doing what the third paragraph says because they don't have a mesorah, or because other people don't do it, or because it costs the same as a nice etrog, or some shamanic holyman said it won't come back till their comic-book moshiach turns up. Guess what? It is back and G-d told you to wear it, so get over it. I fail to see how wearing techeles is any more "rational" than not wearing it. By bugs in water we apply an existing halacha to a newly identified scenario. By techeiles we are reestablishing a halacha that has not been in effect for centuries. One reason for not wearing techeilet tzitzit despite accepting the evidence that the hexaplex (murex) trunculus is the talmudic chilazon, is the concern about color. The Ptil Techelet organization appears to assume that the true techelet color is identical to indigo since the talmud asserts that the color of chilazon dye and kala ilan (plant indigo) are indistinguishable. However, there are few words in either the torah or talmud for the color palette. Such lack of specificity may portend a consequent inability to make fine color distinctions. In other words the colors may be similar but not identical (as are the dye molecules that produce the specific colors). For example, the plant material produces the indigotin molecule as the effective dye. The chilazon extract, in contrast, produces both indigotin, and the bromo and dibromo derivatives. While exposure of the freshly dyed wool to UV rays in sunlight may eliminate much or all of the bromine atoms, perhaps some bromoindigotin should remain to give it the 'right' purplish cast and brilliance. Another concern is the statement in Sterman's book, as I recall, that carding freshly dyed wool that had not be exposed to the sun in a steam box changes the color. I see a possible chemical change occurring wherein bromine atoms in the bromoindigotin molecules are replaced by OH groups. Perhaps this is more consistent with the ancient techelet dyeing process. I don't have the resources to determine whether or not this is a reasonable conjecture. I also question whether the current practice, as I understand it, which is to dry the snail glands outdoors before using the material in the vat dyeing process, doesn't lead to colored degradation products that may effect the final color of the dyed wool. I note in the cited Pliny excerpt that the ancient practice involved salting the fresh glands for up to 3 days prior to use in dyeing. They also cooked the glands for many hours to be able to separate clinging meat and other solids by skimming. I don't know, however, if any of the above reservations makes a real difference. It is possible that producing a colorfast blue dye of whatever tint from the correct snail is all that is required. Certainly, the specific ingredients added to the glands in the vat dyeing process to produce the soluble leuco-dye (white indigo) should not matter - as indicated by the absence of any such recipe either in the talmud or Rishonim. I think R' Slifkin has a good point when he says that casual references in classic sources should not be read too closely, but I believe the proponents of the murex-tekhelet theory fall into the opposite error: they read things hurriedly and with a good deal of wishful thinking. R' Slifkin wrote: "gufo domeh l'yam" need mean nothing more than that it resembles the sea bed. Which the murex does. Last First wrote: Pliny the Elder, living in the same time period, described the Murex as "resembling the sea in a tempestuous state". There's a pattern of misreadings and misquotations made by proponents of the murex theory, and this is not the worst of them. In that passage Pliny is criticising the Roman passion for purple dye, and he says:" ... we are compelled to enquire, why it is that such a high value has been set upon the produce of this shell-fish, seeing that while in the dye the smell of it is offensive, and the colour itself is harsh, of a greenish hue, and strongly resembling that of the sea when in a tempestuous state?" That is, he says the dye smells and the dye is greenish, like an angry sea. And he's right on both accounts; the smell is foul and the color of the mucus is yellowish, tinged green by the dye as it starts to oxidise. On the topic of elevating the soul, I've been reading "Kaddish" by Leon Wieseltier. Among other things, he discusses at great length the story of R. Akiva as a source for kaddish yatom. One very interesting text that Wieseltier mentions (see pp. 157-158 in Kaddish) is Avraham bar Hiyya's Hegyon haNefesh Ha-Atzuva, a philosophical work circa 1100, which claims that generally, prayers and other deeds performed after a person dies cannot help the deceased - with a few limited exceptions. One of the exceptions is continuing to teach/study Torah that was originally taught by the deceased. "Why would you think that "yam" means the bed of the sea, something which hardly anyone would even be in a position to observe?" כמים לים מכסים suggests that the term yam sometimes refers to the sea bed. I take it that you've never actually looked for Murex yourself? Surely you're not going to suggest that a closely-read Biblical text informs our reading of a Tanaitic one! Especially when there are any number of Biblical texts that refer to, e.g., the waves of the "yam" or people getting drowned in the "yam". Also, look at the Splitting of the Sea: they walked on "yavasha" in the middle of the "yam", which implies that the sea bed doesn't have a name in itself. But there's a much better reason to think that "domeh l'yam" means what we think of when we say that something looks like the sea: the extended simile about the appearance of techelet says that "תכלת דומה לים וים דומה לרקיע" Yes, these are probably two different authors speaking, but the general association of chilazon and techelet makes it unlikely that "domeh l'yam" means one thing for the first and a totally different thing for the second. No, but I'm happy to stipulate that an algae-covered shell looks like an algae-covered rock. "But there's a much better reason to think that "domeh l'yam" means what we think of when we say that something looks like the sea: the extended simile about the appearance of techelet says that "תכלת דומה לים וים דומה לרקיע" Yes, these are probably TWO DIFFERENT AUTHORS speaking, but the general association of chilazon and techelet makes it unlikely that "domeh l'yam" means one thing for the first and a totally different thing for the second." Huh? Are we now to believe that the hilazon is blue and/or a liquid? Or is it more likely that, as has been pointed out to you by multiple people, the hilazon baraita is not a list of markers to identify the hilazon source of tekhelet, but an explanation of its high cost. The real reason you don't wear tekhelet is because Haredim don't and the real reason they don't is because (a) they are sectarians who instinctively reject anything that comes from outside of haredut, (b) they have no appreciation of the Torah as a source of heteregoenous law that might require them to change themselves, but instead stubbornly cling to the historically contingent and far-from-perfect mode of operation in east European yehivas/hasdic movements even when it directly contravenes a clear divine command (this is what is really meant by the mesora argument) (3) The Lurianic kabbala is more authoritative to them than Hazal. "I think I've done enough research to say that the Ptil Tekhelet answers to the issues I raise are unsatisfactory handwaving, and that their variety of indigo isn't tekhelet." I find people that claim the Ptil Techeiles to be indigo (read kla ilan) are foolish. The Gemara clearly states that Indigo FROM A PLANT is the false techeiles. Ergo, if you get Indigo from an animal it can't be referred to as kla ilan. Unless you are not claiming that this is kla ilan. Then we have quite the predicament. On the one side, the Gemara tells us that the false techeiles is made from a plant. On the other hand we have figured out a way to make that same exact thing from an animal. So, was the Gemara wrong or did they just not know about the murex trunculus? And before saying they must not have known about the murex trunculus (I guess you are not even close to being chareidi), just remember there were several pits with the murex trunculus shells that were found dating back to the time period when chazal would have known about their existence. Joe, what do you propose that the chilazon/techeles is? Actually, the reason I don't wear Techelet is halachic. 4) Techelet is a kiyyum in tzitzit, but is not a requirement for kosher tzitzit. 1) If you wear all white tzitzit without Techelet, then you are m'kayyem the mitzva of tzitzit without the kiyyum. (b) You are over an issur d'oraysa by wearing a 4 cornered garment without kosher tzitzit (if the Murex dye is not actually techelet). The principle of Safek d'Oraysa L'Chumra tells me that in this situation, I should not wear Murex techelet, eliminating the possibility of violating the d'oraysa at the cost of also eliminating the possibility of being m'kayyem the kiyyum of techelet. Can you explain to me the error in my reasoning? (Which, I should acknowledge, is not merely my own creation, but a thought from at least one of my rebbaim - I forget which). Even better, can you explain how it falls into the following categories: "apathy, sinat hinam and heresy"? Here is the article written by my Rebbe from high school,Rav Chaim Twersky, on why we should wear techeiles. "The argument for identifying chilazon as Murex trunculus has much merit. However, it cannot be said this identification can be 100% absolute, both with regard to the species or even with regard to the color. Nonetheless, the element of certainty would seem to surpass the threshold needed for identification l’halacha. " Akiva, this is false. Tzitzit is still kosher, b'deieved, even if the strings are rainbow colored and the talis is white or vice versa. Which always "ooooh makes me wonder" - that cost differential to do a possible mitzvat aseih is less than the cost differentail of using chalav stam. Think of it this way. Chalav stam is a chiddush and a liberal change (Also, in Israel how much of a price difference is there? ), not drinking it requires no thinking. Not wearing techeiles is the conservative approach and requires no thought. Is there a pattern by design or coincidence? E-Man said: "Ptil Techeiles tzitzit cost 350-400 shekel while regular tzitzit cost 100 shekel or less. (At least in 2003, maybe its more now)"
I bought a set of Ptil Techeilet Rambam strings for 190 shekels a few weeks ago. How about the price difference between a kosher strog and a very mehudar one? Using shmura matza for all of pesach? Just seems to me it's not a halchic issue, it's a metahalachic one. "I bought a set of Ptil Techeilet Rambam strings for 190 shekels a few weeks ago." That is just the blue strings. If you get the whole getup (beg'ged and white strings it costs more). Especially if you get pretied. It's a machlokes between the Shulchan Aruch and the Rema whether the strings need to be the color of the beged. The Rema paskens unequivically that they don't. And even on the tzad that they do have to be the same color as the beged, the malbim, and the chazon ish say that the whole issue is only on the white strings but not on the strings that are in place of the Techeiles strings. This is based on the Gemara in Menachos which says Lo Yehei Ela Lavan. And even if there would be a problem even on the techeiles strings, it's a machlokes whether it is a d'oraisa or just beacause of Zeh keli v'anveihu. Therefore, it would not hurt to wear Murex Trunculus dyed strings and in fact Safek D'orais L'chumra would say that you should wear it. Additionally, according to some Rishonim if you don't wear it you are violating the issur d'oraisa of Bal Tigra (on the tzad that it's real). While I think you are right that it seems to be referring to the dye not the creature, what bothers me is that in the previous paragraph he described the dye as "being of the tint of a rose somewhat inclining to black"
But regardless, I still have not seen any reason to not wear Techeiles. Nachum said...Isaac: That's called Torah SheBeAl Peh. Chazal didn't just make it up. Karaites say you can use any blue dye. This statement describes the problem as to why this blog was created for, that because chazal said so then it must be true. As we have already discovered that that is not always the case. E.g. Chazal had assumed from a simple verse that the world is covered by a dome that blocks the sun at night on its return to the east. According to your statement "Chazal didn't just make it up." then it most be true. The Gamara gives us reasons (what it thinks) for why the color blue. But it does not discuss the reasons why it must come from a precise source. The Karaites maybe correct, if it were so important to take the blue dye from the chilazon, God (in His own way) would had revealed it to us. We do not have to build the Temple to offer a Korban Pesach, at least not according to the Rambam. The Rambam is not alone and we have historical precedent for post-temple sacrifices - the Jews offered sacrifices during the Bar-Kochba rebellion between 132-135. So at the very least we have a safek deoraisa on a Karet! I think one needs to distinguish between saving the soul from punishment and elevating the soul. Saving from punishment only needs to be done on weekdays (if one believes that souls in Gehinnom are given a respite on Shabbat) and only for 12 months (if one believes that punishment in Gehinnom only lasts that long). Elevating the soul can be done at any time. The story of Rabbi Akiva seems to be dealing with saving from punishment. (I) According to most Rishonim "lavan" means any colour that is not tekhelet. The term lavan is used because most garments were lavan (we could call them off-white, perhaps even pale beige). The Rema paskens this way explicitly. The Gemara (Menachot 40A) seems to say that even kala ilan strings are valid as lavan. (ii) even if one were to follow the minority position that a blue string is invalid, either because it is not white or because it is not the same colour as the garment, you probably only need three (according to the Sifrei) or two (according to Rashi's unsourced, but influential opinion) white strings. This issue is discussed at length in Tosefot (Menachot 38a) and piskei haRosh, and they try to avoid this conclusion, but their arguments are not very convincing. Further they both agree that there is no upper limit for strings, so you could just wear four white strings and one/two blue one(s) and the whole "problem" would be solved. (iii) If tekhelet is available and you can afford it and you choose not to wear it your tzitizit are pasul and you are mevatel mitzvat tzitzit by wearing them. The gemara says this explicitly (38a near the bottom) and the Rif brings it as halacha. The other side of the machloket tanaim is Rabi's opinion that tzitizit without tekehlet are pasul under any circumstances. We can argue about whether it is worse to not wear white or not wear tekehlet (as Rashi and Tosefot and the Rosh state. the tekhelet is the ikar, but the gemara says the onesh for not wearing lavan is greater). However, it is clear that someone who chooses simply not to wear either one is sinning. Rashi's peirush on the Mishnah, quoted by Bartenura, seems to have led some people to think otherwise, but the halachic sources are clear. Therefore, if your argument had validity (and it doesn't because there is no reasonable safek, and because you can get round this safek anyway by wearing five strings), it would be an argument for not wearing tzitzit at all, not for wearing them with just white. James, as it happens my Rav agrees with you and the second the Israeli government removes the Waqf and allows this sacrifices to happen I guess I'll be required to sign up to a habura. In the meantime, I do what I can, which is not much, to make such a thing happen. In any case, it's not something I can just do myself, like ordering some tekhelet off the internet. I repeat, if you think there is a mitzvah in the Torah that it is within my power to perform and that I am neglecting, I would genuinely appreciate it fs you told me. I fully recognise that the Torah may well expect me to do things that will not accord with my traditional practice. This, sadly, is what much of orthodox Judaism cannot accept, even when it involves ignoring a mitzvah that they read as much as 4 times a day (for those who say shema with rabbeinu tam and recite all 3 paras when they go to bed). "That is just the blue strings. If you get the whole getup (beg'ged and white strings it costs more). Especially if you get pretied." No, the 190 NIS was for a full set of lavan and techeiles strings, albeit without a beged (which only costs a few shekels). I tied them myself. R' Slifkin: it's possible that the chilazon is extinct: witness the famous silphium that was traded throughout the ancient world, but was (presumably) wiped out through over-consumption. But I think that there's a very good chance that the chilazon is actually Janthina Janthina. It matches the classic description in all areas: its float is transparent, like sea water; it floats (and as a larva actually swims), like a fish; and it washes ashore irregularly. But I'm still working on obtaining some of its pigmented fluid to run tests on it, and without a blue dye all this is supposition. The story with Rav elyashiv, as RHS tells it is that he was approached by supporters of tekhelet and was convinced until he asked the price and whether there was enough supply to sustain a drastic increase in demand that would result in his switch to tekhelet. So, it wasnt the price per se as much as it was the fear of what his acceptance would do to the price and the kahal's inability to afford that increased price. Anyway, the supporters of tekhelet published this conversation and that caused RYSE to publicly demur. That "IIRC" sums up halakhic discourse in comment sections *beautifully*. "IIRC"? Seriously? Take a Rambam off the shelf and look it up! It's even free on the internet! In English! E-Man, I'm afraid you keep digging your hole deeper without looking up easily-obtainable facts. The strings aren't that expensive, and you can reuse them on different begadim (they don't fade)- and you can tie them yourself. I'll do them for you, for a small fee. Look me up on the Tekhelet website. :-) Of course they're more expensive than all white, but it balances. And, at the very least, R' Elyashiv could have said something like, "If you can afford them..."
Isaac: "if it were so important to take the blue dye from the chilazon, God (in His own way) would had revealed it to us." 1. He did. It's called the Oral Torah. If you disagree, you're a Karaite. Sorry. Halakha is not aggadita, so don't bring proofs from that. 2. Even if you don't want to say that, words have meaning. In the time of the Torah, "Tekhelet" meant blue dye made a certain way- from a hilazon. 3. And the process was well-known throughout the area back then. Did you know "Canaani" means "Purple"? As does "Phoenician" and "Punic"? "But I think that there's a very good chance that the chilazon is actually Janthina Janthina." There is precisely one source for it, and that's R' Herzog, who clearly threw it out as a random suggestion and favored the Murex. "It matches the classic description in all areas: its float is transparent like sea water;"
"it floats (and as a larva actually swims), like a fish;"
And, like the Murex, is nothing like a fish. "and it washes ashore irregularly." No more or less so than any other candidate. "But I'm still working on obtaining some of its pigmented fluid to run tests on it,"
"and without a blue dye all this is supposition." I'll save you the time: The Janthina has been tested. Its dye is brown and does not last at all. End of story. Someone started a pro-Janthina website some time back, but never posted anything and it eventually disappeared. So on the one side of this thread we have a group claiming that "authentic" Torah requires a specific practice, and that those that don't adhere to that practice are apathetic about Mitzvos and perhaps even are heretics. On the other side, we have a group that claims that they are adhering to the tradition as it has existed for thousands of years and that this new innovation, while fine for a few individuals, is not supportable economically for the masses. Quite a role reversal :). "No, the 190 NIS was for a full set of lavan and techeiles strings, albeit without a beged (which only costs a few shekels). I tied them myself." Either way You bought the Rambam strings. That means only half a string is dyed blue. If you hold like RHS you need Tosfos shita and that is two full strings per corner that need to be blue. THat is significantly more expensive. Also, a wool begged is required for dioraysah and the appropriate size. SO for an adult male it is usually 50-70 shek just for the begged. I am not sure the Waqf needs to be dismantled but we can save the technical discussion for a blog post on the korban pesach. Suffice it to say that I dont believe offering a korban pesach today is "halacha" and the "heter" is not based on the existence of the Waqf. More importantly, I think I am in the mainstream and my reluctance to offer a sacrifice in Jerusalem does not render me a heretic or an anti-rationalist. Temujin has a question which may have been covered previously or which may sound inane to some. If the proper tint of the tekheiles were ever to be established or agreed upon, are there reasons why reliable, cheap and colour-fast synthetic dyes cannot be used? And, at the very least, R' Elyashiv could have said something like, "If you can afford them..."
If we posit that the version of the story reported in this thread is true (and I don't know if it is), then that is exactly what he did say. He said that he would not recommend it, because then his followers would feel compelled to buy and the price would skyrocket (or if artificially held down by Techelet producers with good intentions, then a shortage). And if the supply is inelastic, then you would end up with a few extra wearers all paying a lot of money and the rest priced out. Or else, under a price control regime, some "select" people would be able to obtain it and others would not. (I don't know if the supply is inelastic, but that seemed to be the assumption or concern of that version of the story). To make an imperfect analogy, it would be similar to a Rav committed to Yishuv Haaretz recommending not to eat Heter Mechirah produce if one could afford it. Even if he feels that the Heter is not ideal, the result of such a "Chumra" would be to put the Jewish farmers out of business. To close the circle, there was a similar debate over in the Metzitzah thread. The fact that a change makes sense in theory, doesn't mean that we immediately change the practice. There are other considerations. And that is true even if the theory says that that the change is not really a change (e.g. we would always have worn Techelet if we had it). If there is a practical change, then it is a change. Which again is to say that not all change is bad (e.g. the removal of the prohibition on teaching Torah to women is a very good one, and it is embraced, to different degrees, across the board). Just that it is always a consideration. My opinion (which has little value) is that those who on their judgement or that of their halachic authorities say to wear Techelet should do it and those who are on the other side should not. The pro-techelet side should continue to develop both the theory and the halacha and if there is a small battle, it should be a battle of ideas (as much of this thread is) and not a battle over who is frummer than whom. Nachum, while I disagree with "Joe in Australia's" position on the Murex trunculus snail, I am puzzled by your statements about the Janthina snail. As I recollect, from reading Rav Herzog's porphyrology thesis, the Janthina was not a "random suggestion" but a proposed solution to the identity of the talmudic hilazon. If its dye was known to be brown, he would never have suggested it as a possibility. 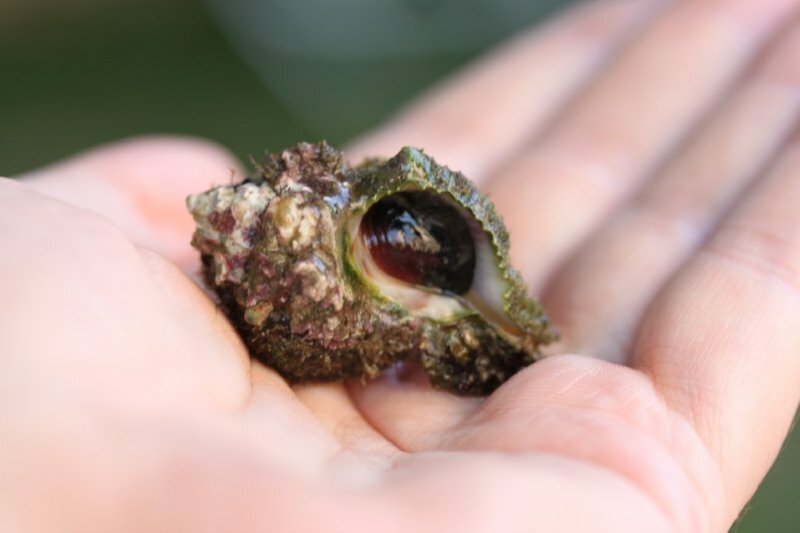 In fact, the only drawback that he found to identifying the Murex snail with the hilazon was that it appeared to give a violet dye rather than blue [the Ptil Techeilet people have solved that issue by noting that sunlight converts the fresh (wet) purple color to blue]. Perhaps you are confusing the Janthina dye with the cuttlefish dye which is sepia colored. In any case, I do recall reading that the Janthina dye is not colorfast to wool. Perhaps Rav Herzog believed that a mordant chemical could be found that would make a blue Janthina dye colorfast. "1. He did. It's called the Oral Torah. If you disagree, you're a Karaite. Sorry. Halakha is not aggadita, so don't bring proofs from that." Firstly, Halacha is based on Torah and the Torah does not mention chilazon, this word is mentioned in Tractate Menachos 44a. One lesson we learn from the Gemara more then any other, that is there are always Rabbis that disagree with one another. Therefore how do we know for certain who speaks God's words and who only thinks he does? "2. Even if you don't want to say that, words have meaning. In the time of the Torah, "Tekhelet" meant blue dye made a certain way- from a hilazon." With this statement you are correct only as to there was a certain method, this is very obvious. But the objective of this blog is to determine what the chilazon is. My inquire if I may, is whether the dye must be derived from a precise source, as in the chilazon. תכלת Is translates as BLUE, what its source is anyone's guess. All we know is of the opinion of the Rabbis of the Gemara. Without first ascertaining the reasons for the chilazon, it would be difficult to determine what it is, and whether its source is commanded by the Torah. "3. And the process was well-known throughout the area back then. Did you know "Canaani" means "Purple"? As does "Phoenician" and "Punic"?" I do not see what the meaning of these words have to do with our discussion. To spin the meaning of a word to favor a desired interpretation is only for the purpose of winning an argument. Here, we are learning Torah. You can just as easily claim that the chilazon is from the blueberry family. And here you hit the problem right on the nose, as you said "And the process was well-known throughout the area back then." But what was that process? So many Torah authorities are in disagreement of what the exact process was. Which obviously leaves many in doubt and refraining from the Mizvah altogether. How certain are you that God commanded that the blue dye come from the chilazon and what it is? It just so happens to turn out that it is stated in the Gemara Menachos 43a that the reason for techeles as the source is, that its color (blue) is similar (but not the same as) to the color of the sea / sky, which is similar to that of the Throne of Glory. I.e. its color resemblance is of its most significance. If this Gemara is indeed correct, then (according to you) the Karaites are correct in that techeiles (blue dye) can be derived from any source. Because, with today's technology we can reproduce, not only similar, but the exact blue color of these aforementioned elements of nature. Bringing us into a closer compliance with the commandment. R' Nachum wrote: I'll save you the time: The Janthina has been tested. Its dye is brown and does not last at all. End of story. I would be very pleased if you could point me towards any published research on Janthina's pigmented fluid. Fortunately, it is endemic to Australian waters and I hope one day to obtain some for testing. "Primarily on the basis of its violet-colored shell and dye and its rarity, as implied by Talmudic sources, Herzog opted for the genus Janthina, several species of which occur in the Mediterranean, as the source for tekhelet." "Lacking more definitive textual evidence, it is doubtful whether any one theory of the origin of tekhelet can prevail over another. Certainly, a prime prerequisite of the trunculus theory, as stressed by both Otto Elsner and Israel Ziderman, is the finding of an ancient sisit whose blue or violet coloration can be shown chemically to derive only from this mollusk. The failure of the trunculus theory should not detract from the evident value of the volume in fully publishing Herzog's study of early Jewish dyeing and in apprising the reader of current biological and archaeological findings from Israel." http://www.halakhah.com/rst/kodoshim/42b%20-%20Menochos%20-%2027a-58b.pdf starting at the bottom of the first column on page 54. All discussions about price are a bit funny considering that other "must wear" items in the Charedi world cost a lot more and are completley unncessary halakhically. Wearing a black hat, and certainly a shtreimel, will run you a lot more than blue threads. Nu, we know priorities. E-Man, the half-string Rambam version costs the same amount as the full-string Raavad. (In fact, it used to cost more.) I guess the labor of keeping it half white is worth the same as the double amount of dye. Of course, the Tosfot is twice that. So...don't follow R' Schachter if it's too expensive. And don't wear a wool beged. And the problem is mostly solved. Temujin: Because the halakhah is that it has to come from an animal, and likely one animal in particular. As I've written, Karaites have always had a blue thread, as they simply use plant or artificial dye. David Ohsie: You make a good point, but maybe increased demand would lead to more of an industry, and the supply would be increased as well. And if the whole business remained l'shem mitzva, the prices would stay mostly stable. Y. Aharon: It seems clear from his thesis that he likes the Murex (I've recently learned that that is no longer its scientific name, by the way), and chooses the Janthina because of a few (now solved) problems without going into it too deeply. To put it another way: People have been saying it's the Murex ever since it disappeared. (The Arukh, non-Jewish sources, etc.) R' Herzog was the first and only person to suggest the Janthina. And I'm pretty sure he didn't try actual dying with either. And that hardly matters if (as we know) "tekhelet" in those times meant a dye that came from a sea creature. (I meant a similar point about the Canaanites. People *knew* what was done back then.) The Torah, which uses that word and was written back then, didn't have to elaborate for people to know. To ask your point about rabbis disagreeing is to attack the very basis of halakha. They can disagree all they want, but eventually the halakha does get decided. And that *also* hardly matters, as all rabbis agree that tekhelet comes from a chilazon. Joe: That's on his fingers, not on wool, and proves nothing about the dye's fastness on wool. "Those who claim otherwise inevitably turn out to be of an anti-rationalist persuasion." Rav Soloveitchick writes (shiurim l'zecher aba mori v. 1 "shnei sugei mesores"), based on the position of his great-grandfather, the Beis Halevi, that external proofs have NO bearing upon techeiles, which is purely a question of mesorah. Do you consider Rav Soloveitchik "anti-rationalist"? > So on the one side of this thread we have a group claiming that "authentic" Torah requires a specific practice, and that those that don't adhere to that practice are apathetic about Mitzvos and perhaps even are heretics. > On the other side, we have a group that claims that they are adhering to the tradition as it has existed for thousands of years and that this new innovation, while fine for a few individuals, is not supportable economically for the masses. > Quite a role reversal :). On the plus side, the strings do last for years. Perhaps it could be seen as an investment like a human-hair sheitel. You are correct. The issue I mentioned would be a problem if the supply is inelastic (not sensitive to price change). In the short run, it probably is. In the long run, it might be; it would probably depend on whether you could set up fisheries cheaply enough to get enough dye. But if it is inelastic, then the price would be higher than a black hat to clear the market. Otoh if the market was set up, then we could have the have fights over whose hashgacha is reliable :). And there would be employment opportunities for Charedim. 1) It is irrelevant. If you can't afford tekhelet you are patur, full stop. If anything, this argument just further demonstrates the collective senility of the Haredi world. Imagine if Rav Elyashiv had *endorsed* tekhelet and the price had shot up. Well, all his yungermen would have been patur and he could have informed them of such, but presumably he knew that nevertheless they would have bought it anyway because learning in kollel all day doesn't produce men who (i) understand how halacha works, (ii) have any common sense (iii) even listen to the Rabbis who pictures they plaster all over their walls (e.g. Rab Elayshiv on Sheitels). 2) It is disengeous. Anyone who has spent any time in a Haredi community knows that haredim spend all sorts of money they can't afford on things that are at best hiddurim, mostly simply tomfoolery and often positively wrong (see again sheitels). If they don't have money, they beg. 3)It is economically illiterate. Supply of MT snails is not inelastic, any price spike would send signals to entrepeneurs to expand production. All that would be required is a bit of elementary common sense during the adjustment period (see above). More generally, there is no need to "theorise" the mitzvah of tekehlet. (If follow your custom placing quote marks around words no-one has directly said the mitzvah of tekehlet. All the theory you need is right there in the Shema you said this morning. I simply cannot believe my eyes when I see people in some sort of doubt about whether we are supposed to perform a mitzvah that we are able to perform. (i) the role of science and other forms of secular knowledge in Judaism. (iii) the role of mesora in Judaism. What we have here is a clear, unambiguous case of Haredi ideology leading the movement into open, unambiguous and flagrant opposition to an expressed command of G-d. We all know about the ways in which Haredi Judaism subtly perverts and undermines the Torah, but only here does it become completely manifest how directly opposed mainline Haredut is to the Torah. Now, apart from the fact that we have an opportunity to fulfil a commandment of G-d (which I am distressed to see seems to mean almost nothing to many here), this is a remarkable opportunity to save Judaism from those forces who are hellbent on turning it into a mad pagan cult. To not capitalise on the opportunity to discredit these people would be a tragedy. Now I think I know the reason you do not wish to do so - namely because you wish to see a Judaism where sub-segments can freely ignore mitzvoth they don't like without being stigmatised by other groups. (i) Snail tekehlet was the only suitable blue in existence when the mitzvah was given and for a millennium afterwords. When Kala Ilan arrived on the scene Hazal ruled that it was not an acceptable substitute for reasons that are not entirely clear. In my opinion a future Sanhedrin would be wise to permit use of indigo form any source, but before that we clearly can't simply violate the universal opinion of Hazal. 2) Regarding the Rav Soloveitchick point. The line between Soloveitchikian discourse-theology and Rav Meiselman is a lot more direct than most people here would really admit. This is an issue that MO world is going to have to deal with at some point, the sooner the better. He's not saying that it's not the Murex. Nachum said: Because the halakhah is that it has to come from an animal, and likely one animal in particular. As I've written, Karaites have always had a blue thread, as they simply use plant or artificial dye. Thank you for your answer, Nachum. For the record, in case there be suspicions, rumours or assumptions, Temujin is no Karaite. Alas, one may still muse idly, beginning with the question of your certainty that the dye has to come from an animal. The reference in Bava Metzia 61b which prohibits the use of indigo dyes, the kalla illan, appears to address commercial fraud, a substitution with an inferior dye which is indistinguishable in appearance at first (presumably at the time of sale) and the fraudulent claim that it is of another kind, namely the more precious chillazon dye. It seems then that the use of a modern synthetic dye which can even be designed to bond to specific fibres and retain colour-fastness that is superior to organic ones should not be a problem if there is honest disclosure as to its origins. "Do you consider Rav Soloveitchik 'anti-rationalist'?" When it comes to a historical sense, he most certainly was in a sense, and would likely admit it. For example, he had an idea that tefilla had been, and would be, forever frozen in the form he had grown up with. He didn't like new editions of books whose older formats he had gotten used to. I once asked my rebbe, a close talmid of his, "So is he saying that the only way to restore tekhelet is for Mashiach to declare via nevuah that this is it?" The answer was yes. Gavriel's last point is thus perhaps true, and, if so, troubling. David Ohsie: It need not be inelastic. The Murex is widely fished as food in the Mediterranean, and only a small part of the harvest is used for tekhelet. Imagine if every snail caught has the dye gland removed before its processed to be eaten (probably not likely, but it gives you an idea of the supply)...In fact, one of the speakers at the conference spoke of plans to start growing them on farms in Israel so as to have a good local supply. 1. That Chazal ruled it must be a snail is not necessarily something even a Sanhedrin could waive. If the word "tekhelet" means "blue dye from a snail," as it very possibly does, you can see why Chazal stuck with it and why we'd have to. 2. I'd add a fourth point to your list: The inability to accept any innovation that didn't come from their camp, or can't be creatively explained as having been so. Tekhelet was rediscovered by a bunch of Modern Orthodox, Religious Zionist, kippah seruga wearing, YU and Gush graduates, along with a number of scientists, some of them (horrors) non-Jewish or non-Orthodox. The halakhic approval was initially (and almost solely) given by YU and Hesder toshei yeshiva. That's a big hurdle for the charedi world to get over- similar to the hurdle of secular education, modern science, or the State of Israel. "He's not saying that it's not the Murex." More than that, he says that the cuttlefish that the Radziner used was well known through the ages, and therefore couldn't have been the source of techelies "so it's as if we have a masorah that it's incorrect". See this video of Rav Shechter, from the 7 minute mark. In commenting on Mr Ohsie's economic argument, Mr Gavriel M says that it is "economically illiterate," that "supply of MT snails is not inelastic." Hardly. One cannot find any indication that a rare creature whose dye was once proscribed by sumptuary laws can now be "elasticized" with commercial aqua-farming in sufficient quantities to bring the price down, or even to maintain it at the current levels. Even then, it is not beyond the realm of possibility that current poskim may create a shortage by ruling that only a certain subspecies may be used,only from the wild, only from certain traditional locations and only by a limited number of certified craftsmen from, say hypothetically, the Hareidi communities. 1. It is suggested by many mefarshim that the reason that a plant-based techeles is invalid is derived by chazal through a drasha proposing a connection between Techeles and Tolaas Shani - crimson worm. Just like the later is from a living being, the former also has to be from a living being. See Yerushalmi Kila'im 9:1. 2. What is the oldest source proposing Murex or Ianthina as candidates for the Chilazon? Halacha is most certainly *not* based on the Torah. After getting over the initial shock of this statement, I must ask you. How can you make such a statement when the Mizvah of Techeiles is directly from the Torah. The Talmud (on this issue) is only trying to explain (as I see it) from where techeiles (blue dye) was derived from and the reasons for its source. We all agree techeiles is blue. I don't see it stated in the Gemara that the chilazon as its source is halacha. Just that the reason for the source was that it was closest in color to that of the sky/sea. Saying it is halacha i.e. mandatory, is like saying metzitzah b'peh is halacha, also wearing a shtreimel according to most if not all chasidim is also considered halacha. etc. etc. If, as you claim that the chilazon is halacha, simply because it was used at first. Therefore even more so, soft matzos is therefore halacha, because all agree, unlike as in the chilazon, that it was what the Torah refers to as matzo (not the crackers we eat today) and was eaten for many centuries. As we all are aware, there are many other examples where halachas and traditions have changed from generation to generation. But most of all. On the very issue of techeiles, the subject of this blog, all Torah authorities stand in agreement that in the present, it is NOT halacha. If to the contrary we all would be wearing it. "...eventually the halakha does get decided." This again is very obvious, but what were the circumstances and the details and most important the motives (e.g. Bava Metzia 59b as in R, Yehoshua's methodology) that were considered in reaching a decision. The concept being, if it does not work for your generation, changes must be made. Deciding halacha without logic, rational reasoning, compassion, consideration of the details, hard facts, etc., and most important reliable Torah sources, or if you wish the agada method, then anyone can grow a beard, don a black hat and fabricate any halacha he so desires. As is so often the case. Because many of these factors are irretrievable, most if not all Torah authorities agree that halacha cannot be derived from the Gemara. Spoiler - so far it's against Murex Trunculus as the candidate. Nachum's point that the Murex is widely available as food all over the Mediterranean is interesting, although one would imagine that if the Murex beast is accepted as the only source of the dye, the stipulation that its harvest is limited to the coast between Haifa and Tyre would most likely be upheld. Oh, and there appears to be some issue of concern over tacheiles presenting the danger of shaatnetz, although the logic of this eludes Temujin, seeing how white strings can be equally problematic. Nevertheless, in flogging for the superiority of a synthetic dye, in addition to providing superior colour-fastness, one suggests that such a dye could be chemically engineered to fail with the wrong fabric. Mendel Singer is a talmid of Rav Shlomo Miller, no? Further confirmation of what I wrote in my post. "Mendel Singer is a talmid of Rav Shlomo Miller, no? Further confirmation of what I wrote in my post." I have no idea. What I do know is the article seems well written with solid, honest arguments. I don't see that this contradicts the point of your post Rabbi Slifkin, rather, I am throwing in two cents about the back-and-forth within these comments about the merits of Murex trunculus. After reading this, I am convinced Murex trunculus is not the one. Mendel Singer has written a number of pieces; he fails to disclose that he's really in favor of the Radziner version, which would probably pasel him in the Litvish world and expose his argument to more criticism than he gets already. "and the fraudulent claim that it is of another kind, namely the more precious chillazon dye"
The Gemara seems clear that the criticism is aimed at those who *know* it's plant based and wear it anyway, to save money. Making a cheap synthetic dye wouldn't help, particularly if, as I've suggested, "tekhelet" means "wool dyed blue from an animal." Also, Tejumin: Why do you think that, having allowed it, the charedi gedolim would try to make it *less* easy to get? Snag: That's famously only one explanation of R' Chaim's position. There's another (which seems more logical to me) that he was against *any* blue dye. Shimon: If you want an early source, I've read that the Arukh (same time as Rashi) translates "chilazon" as "purpuron," ("purple") which is what they called the Murex back then, but I can't find it in the Arukh now. Others since then, Jewish and non-Jewish, have made the same identification- the question was more "how" than "what." Isaac, I don't know what to say to you. Of *course* Jewish law is based on the Torah, but the actual law is as stated in the Talmud. That's why eyes are not actually removed. I can't figure out why you'd argue otherwise if you're Orthodox. As to your statement that "all Torah authorities stand in agreement", well, that's the exact opposite view. What, exactly are you trying to prove? In any event, you're wrong. Every Torah authority agrees it's a mitzvah, and some say you have to use it. Temujin, shatnez is *not* an issue if the dye is the right one, that's all. But there's no need to risk that nowadays. Nachum says, "Mendel Singer has written a number of pieces; he fails to disclose that he's really in favor of the Radziner version, which would probably pasel him in the Litvish world and expose his argument to more criticism than he gets already. Perhaps so, sir, but academically irrelevant to the substance and verity of Mr Singer assertions. "Why do you think that, having allowed it, the charedi gedolim would try to make it *less* easy to get?" Um, the economics of limiting supplies and set-up of monopolies? If Dr Singer is correct in at least some of his assertions...regardless of whether he is a Litvak or not...(a competent peer-review or critique anyone? ), one immediately sees two serious issues militating against the poor Murex critter. Firstly, hopes for affordability would be shattered by the rarity and expense; 8000 Murex critters for 1 gramme of dye cannot be cheap. One can also only imagine the ecological devastation that a harvesting the Murex in the wild, or setting up aqua-farms to meet the demand of a halachically binding ruling to don the blue thread would produce. Secondly, if the Murex dye is chemically identical or close to the one from indigo and degrades just as easily and quickly, as Dr Singer contends, then the rationale for the preference collapses. Especially since cheaper alternatives...indigo, woad, insect bits, etc... capable of producing a blue were known and widely used. Also, this would suggest that it was Tyrean purple (actually, a rich burgundy) which was of interest to the Romans enough to control its use, since a colorfast purple dye of such quality could not have been substituted with organic dyes at the time. PS: Temujin, shatnez is *not* an issue if the dye is the right one, that's all. But there's no need to risk that nowadays. No argument here; one saw the issue somewhere and it didn't make sense. But confused over your statement that it would not be an issue if the dye is the right one. Unless you think it may contain wool or linen derivatives. If Temujin were given the green light to produce a synthetic Temujin's Genuine RakiaBlue(TM), he promises clean room manufacturing facilities where no wool or linen would present a problem. When I say that the supply of MT is not inelastic, I do not mean it is limitless (no economic goods are limitless. by definition). I simply mean that the supply of can be increased quite easily. Currently, it is used as a food source across the Mediterranean, and only one company produces dye from and they don't do it for a profit. The total potential demand is limited to a few dozen strings for each Jewish male and perhaps a few niche Christians, there's no reason to think that this demand can't be met from existing stocks in a sustainable way. The worst consequence, perhaps, is that Greek consumers might have to switch to muscles or something. (Btw the sumptuary laws were designed to make it artificially scare, they were not a response to real scarcity). An explicit Toesfta says only dye from a hilazon is valid. This is accepted as halacha in all sources from Hazal and the Rishonim. 1) The primary criteria for the Hilazon is a sea creature, known to Hazal that produces a fast, indigo dye. MT meets these criteria. No other candidates meet these critera. understanding of the nature of the chemical tests." for it shows a rare lack of self-awareness. 3) The proof by omission argument is null since argaman does not come from the MT. 4) The article rests on a mistaken and untenable interpretation of the "hilzaon baraita"
5) Proofs from Rishonim who did not know what the hilazon was are not proofs at all. Nahum: Maybe, but I suspect "teklehet" just means "indigo colour", carrying conotations of wealth and power. After all, it's not even a Hebrew word per se. Tosefta Menachos 9, Maseches Tzitzis 9:1, and so hold all Rishonim (e.g. Rambam H. tzitzit Perek 8). "If you want an early source, I've read that the Arukh (same time as Rashi) translates "chilazon" as "purpuron," ("purple") which is what they called the Murex back then, but I can't find it in the Arukh now. Others since then, Jewish and non-Jewish, have made the same identification- the question was more "how" than "what." Well, my question is "who". And with all due respect, your comment hardly provided an answer. As for equating techeles and Tyrian purple (as the Aruch does), this is not the same as explicitly saying that Chilazon is Murex trunculus. Porphyra was was a color, redish-purple. And it was produced mainly from a number of sea-snails, mainly the Bolinus brandaris. While Murex trunculus was also used, this specific snail was by no means called "purpura" to the exclusion of others. I understand your points about RYBS but fail to see how those views are anti-rational? Believing that the form of tefilla is fixed does not make one anti-rational. What most of us object to is the categorization of any disagreement as anti-rational, or heresy. 1) It is irrelevant. If you can't afford tekhelet you are patur, full stop. Speaking of economic literacy, "can't afford" is not a coherent idea. Affordability is all relative to what one is willing to give up (opportunity cost). But anyhow, that is no answer to R. Elyashiv's putative concern, which is that the situation after an endorsement would be worse than that before the endorsement with little, if any, additional mitzvah observance. Imagine if Rav Elyashiv had *endorsed* tekhelet and the price had shot up. Well, all his yungermen would have been patur and he could have informed them of such, but presumably he knew that nevertheless they would have bought it anyway because learning in kollel all day doesn't produce men who (i) understand how halacha works, (ii) have any common sense (iii) even listen to the Rabbis who pictures they plaster all over their walls (e.g. Rab Elayshiv on Sheitels). The result is that you aren't arguing with R. Elyashiv on this issue, but using it a as cudgel for your objections to Haredism. I agree with many of those objections, but that doesn't justify any and all attacks. Again, this means that you endorse his consideration of economic factors. Getting back to economic literacy, some things are elastic in the short run, some in the long run, and some not at all. What you have described is merely the fact that the supply curve slopes upward, not what the slope is, which is what determines elasticity. It is a reasonable concern to wonder about Techelet. If by "quote marks", you are referring to my post of January 1, 2014 at 6:07 PM, then all those were quotations directly from this thread. no-one has directly said the mitzvah of tekehlet. All the theory you need is right there in the Shema you said this morning. I simply cannot believe my eyes when I see people in some sort of doubt about whether we are supposed to perform a mitzvah that we are able to perform. Everyone understands that it is a Mitzvah that was performed in the past and some are not performing again, at least by their Shita. We've gone past that. I admire your devotion to the Mitzvah and am happy that you have a chance to fulfill it. I also admire the people behind the Ptil Tekhelet Association. There is no need to adopt the tactics of your ideological opponents to attack others who don't see things exactly as you do. David Ohsie, just saw your post; thank you very much for the excellent sources. Abaye enquired of R. Samuel b. Rab Judah, How do you dye the blue thread? Hillazon is interpreted in the translation as “a species of mollusk” and the Soncino sources this to V. Lewysohn’s Zoologie des Talmuds (Ger., “The Zoology of the Talmud”), pp.280-285. So, based on this source and no other commentaries or opinions, and with the stipulation that Temujin is way, way out of his depth in this discussion, a humble suggestion can perhaps be made that the hillazon is not a divinely ordained ingredient of the kind used in the sacrifices, but represents the best substance available at the time. Also, one is alerted to the casual mention of unspecified “other ingredients.” Since proportions are not given, Temujin’s RakiaBlue™ may have to include trace quantities of hillazon to meet the minimal requirements. In the Chabad Mishneh Torah source you provide one notes several points that further strain one's comprehension. Hillazon is interpreted as a fish even a snake-like one (or is dag not just a fish but any sea creature? ); of course only Rambam’s midday blue, not Rashi’s darker dawn or midnight one would be noted; and the Rambam insists on the hillazon as the primary ingredient. Again, a humble and tentative interpretation, one based on Rambam’s own approach to science and with no intent to be cheeky: The Rambam could formulate opinions only on factual and literary information available to him in 13th century Spain or Egypt. Still, Temujin declares himself totaly perplexed. Wow. Is this a small taste of what you guys do every Thursday evening? The shatnez issue comes about because we are not allowed to attach woolen tzitzit to a linen garment. If we stipulate that the Ptil Tekhelet institute may be wrong, something that I hope they would acknowledge, then a linen garment using their tzitzit is potentially shatnez (kilayim). You might ask why they can't just make linen tzitzit with their tekhelet. The reason is that tzitzit with tekhelet can only be made with wool, not linen. This is presumably a technical issue: lots of dyes will only dye proteins, not plant fibres. Indigo isn't one of those dyes, which is another mark against the Ptil Tekhelet institute's tekhelet. Incidentally, the late Lubavitcher Rebbe ZYA advanced this as a reason why tekhelet seems to have been uncommon even in the days of the Tannaim: he suggests, tentatively, that its use was discouraged because it tended to create problems with shatnez, just as some other Biblical mitzvot (e.g., shofar on Shabbat) were discouraged or forbidden. David Ohsie: It need not be inelastic. I don't disagree. Your argument seems sound, although the proof of the pudding is in the pie. Nachum, For one I'm glad you have retracted your statement that "Halacha is most certainly *not* based on the Torah." The orthodox would have never made this statement. But I am not saying that there is something wrong with not being orthodox. Some of the people I truly admire are not orthodox. If I may ask, and if you can tell us. Where in the Talmud is it stated that it is mandatory/halacha that techeiles must be derived from the chilazon. And if so, where and what is the proof the Gemara has for its declaration. I want to be as certain as you. I am not interested in just the opinion of a Rabbi that believes/assumes that is what the Gemara is saying. Wearing techeiles is a Mizvah in the Torah, and again you state the obvious with this. But no Prominent Torah authority of which I have heard (and everyone I have asked) has declared that it is an obligation for our generation to wear techeiles. There is a Rabbi Katz in williamsburg Brooklyn NY that he himself wears techeiles, but tells his students not to wear them. Can you supply us with the name of a Torah authority (as you have stated) that has so said you have to use it? Thank you in advance for this valuable information. We really appreciate it. His main article was written in the RJJ Journal, either as a response to the Twersky article or as a long letter to the editor, I can't remember. There was a response printed at the time. Same exact thing happened a few years ago, in Hakirah. Bottom line: his questions are just questions. The same type of questions you can ask on literally anything if you're so inclined. I personally find the answers very strong, but even if you don't, again, they are just kashas. Anyone who's made his peace with "nishtaneh hateva" (ie, the entire yeshivah/charedi world) as an "answer" to the questions on halachic shiurim, has no standing anywhere to claim questions have any significance. Thanks again for your clarifications. As you may well imagine though, Temujin’s confusion over the jumble of information is rapidly reaching alarming proportions. To wit, taking for granted that the hillazon is the Murex, you argue that its supply can be comfortably increased to meet a surge in demand, and elsewhere you suggest comforting numbers. At the same time others claim that a great number of the critters are required for a small quantity of the dye...for example, Dr Singer's contention of 8000 critters for 1 gramme of dye. One is mindful that traditional sources appear to confine the hillazon to the area between Haifa and Tyre, or “the promontory of Tzur until Haifa,” and stipulate that it appears every 70 years, hides underground, is susceptible to insects and is very difficult to harvest. You, on the other hand, suggest that the scarcity was artificial, due to Roman sumptuary laws and a tight monopoly, a claim which cannot come from the Jewish sources which call it a rarity due to the above reasons. It turns out too that today in Israel the Murex is a protected species...a good sign of a rare and fragile animal... which would necessitate harvests by the Greeks, where the poor critter is a delicacy. One imagines, though, that it would undoubtedly be added to EU’s protected species lists once the pressure on the purple mollusk begins to build. Not that this may matter, because Greece is clearly outside the zone described in the scriptural sources anyway, which could mean that either the Greek hillazon is not the Murex, the correct kind of Murex, or that if it is, it may not be kosher outside of the stipulated Haifa-Tyre coastal zone. You also state with certainty that, ”[a]n explicit Toesfta says only dye from a hilazon is valid. This is accepted as halacha in all sources from Hazal and the Rishonim.” Very well, and Temujin would appreciate any links on that by you or anyone, as he is hopeless at finding such. Knowing little about such matters, one also wonders whether the tosefta which you say unconditionally insist on the hillazon would be amenable to reinterpretation based on current knowledge just as, for example, tosefot on Talmudic anatomy, medicines or astronomy were. With all this confusion, you may perhaps excuse Temujin's growing doubts that the hillazon is the Murex and that the Murex can ever serve as the sole or even primary source for the tekhelet. Joe in Australia, thank you for that info! One wonders, though, whether indigo, both from the Murex and the plant, does adhere to non-protein fibers like flax and cotton as well, but tends to fade rapidly. E.g., traditional denim as in blue jeans. Temujin: the chemistry is really interesting! Indigo is what is called a "vat dye". Molecules of indigo (and related dyes) come in two forms: a white or leuco- form which dissolves in water, and the colored form, which is insoluble. You dye things with indigo by using a chemical or biological process to "reduce" the molecule from the colored form to the white form, which lets it dissolve in water. Then you soak cloth, thread, or whatever in that water, remove it, and expose it to air. The indigo molecules change back into their insoluble colored form and will no longer wash out of the material. This is why you can use indigo to dye wool, cotton, linen or whatever. It's important to note that the dye is not actually bonded to the material: it's just insoluble and it's hard to wash it out. That's why jeans fade after a while: some dye has washed out, but some is still stuck in the fibres of the garment. Many other dyes form an actual chemical bond with the material, either directly or through another molecule that helps link them together. These dyes will typically bond best to either animal or plant material, mostly animal. Since tekhelet-dyed tzitzit consist specifically of wool dyed with a pigment from the chilazon I presume that it's one of these dyes, and that the dye wouldn't work with linen. But I don't know this for a fact. 1) "Can't afford" is a well defined idea in halacha. There are different shitas as to when this kicks it, but surely that's what Rabbonim are for. Again, the idea that because the Haredi community is so dysfunctional that if, hypothetically, Rabbi Elyashiv was to tell the truth and then, hypothetically, there was a price-spike, hundreds of thousands of kollel men would take food out of their childrens' mouth to do something they are patur from, is clear proof of that Haredi Judaism is a failure. If Rabbi Elyashiv thought that Haredi Judaism was a failure, he should have said so, it would have done us all a big favour. But to conlude that because Haredi Judaism is dysfunctional ergo we should suppress knowledge of a mitzvah is abhorrent. 2) No it's not. If Rav Elyashiv had a genuine concern he should have said "stop spending money on dumb stuff and spend it on a mitzvah instead", not "it's fake tekhelet because errr .... Zionism!". 3) What I mean is that, in the short term, if there is increased demand for MT snails, this can met by simply fishing more of them. Currently, millions of these things a year are consumed in the Med for pennies (saying they are a delicacy is a bit like saying bamba is a delicacy). Then, when you factor in the fact that ptil tekhelet has large stockpiles of dye, the likelihood of a lasting, massive price-spike seems minimal. In the very long term it is possible that demand can only be sustainably be met by farming, but that is years off. I suspect that these concerns reflect a lack of awareness about just how much shellfish people eat (see link above). Literally hundreds of millions of people people consume upwards of 8,000 shellfish a year (21.9 a day, much less than you'll find in a decent linguini marinara) and 1 gram of dye goes a lot further (string-wise) than some people seem to imagine. This is clearly assumed by the Gemara, and explicitly stated by the Rambam (and the Rif I think) and absolutely no-one disagrees. Again, I am inclined to think that a future Sanhedrin both can and should change this halacha, but in the meantime, it is clear that Hazal asked the same question you are asking and unaminously concluded that only tekhelet froma hilazon (i.e. a snail - i.e. not a cuttlefish) is kosher. The Gemara does not confine the hilazon to between Haifa and Tzor, it says that the harvesting industry was centred there, which it was as archaeology demonstrates (if the hilazon is the MT, not if it is whatever you imagine it to be). "This is presumably a technical issue: lots of dyes will only dye proteins, not plant fibres. Indigo isn't one of those dyes, which is another mark against the Ptil Tekhelet institute's tekhelet." MT dye will only adhere in a fast way to wool, not linen. This is actually used as a proof by the p'til tekhelet in numerous articles, thus casting further doubt on your claim to have read all their literature. The explanation of the Rebbe of Lubavitch regarding why tekhelet was rare during the days of the tanaim is moot since we know perfectly well why it was rare: the Romans imposed artificial monopolies to restrict supply. This reminds me of his "explanation" of why we should not sleep in the sukkah. Incidentally, as the Yerushalmi makes clear, blowing shofar outside the temple is not a biblical mitzvah and this far better explains the halacha not to blow it on Shabbat than the Bavli's outlandish explanation. This is important to emphasise in as much as some people seem to want to use this Bavli to build up some bizarre hashkafa in which we piously remove all the mitzvoth from the Torah. The idea that the tanaim discourage the use of tekhelet is completely ungrounded. We know in Yerushalayim, and perhaps elsewhere, there was a gezeira against wearing tzitzit on a linen garment. However, there is no reason to think that it was common to wear only white strings, indeed the Bavli normally refers to tzitzit (in the Aramaic material) simply as "tekehlet". Joe in Australia, that is ever so cool! Look at what you've done: You've launched Temujin towards an inquiry of historical dyes and textiles, their economies and distribution patterns in the Jewish world. And there's plenty to look at, in the manufacture and trade in fabrics and dye stuffs, extending as far as Chin empires and all along the Silk Road into the market towns and annual fairs of Western Europe and even the settlements in the forests of Germany and the plains of Poland. But later, as parnassah calls...unless there are stipends available for Temujin to sit on his hind parts in front of his laptop and contemplate such heavy matters for the benefit of all? In spite of all the confusion, there are a number of things Temujin can say with some degree of confidence. First, that the argument for reinstating the blue string halachah appears reasonable. The Torah seems clear on the issue, the Land of Israel has been resettled by Jews who are politically independent (at least as soon as Mr Kerry flies home to Mrs Heinz and finds another world-saving project) and the hillazon is the most likely source for the tehellet. There may be disagreement over the tint of the tehellet, which ranges from Rambam’s midday blue to Rashi’s darker version, but it wouldn’t be the first time religious Jews have had work through different minhagim and the issue whether the colour itself is the main point or the substance it is made of. Current and future archeological finds can help in the determination, at least among those who don’t think that archeologists are all malignant frauds out to destroy the Torah and perhaps synthetic chemicals will be accepted as just another technological solution no different from exploiting a strange mollusk and dyeing technologies of the past. Secondly, that the religious, political and economic dimensions of this issue are central. Temujin may refer to politics and economics from time to time and appear cynical, but his scowl is a response to people playing silly games, pretending as if these don’t matter, which he thinks ultimately result in injustice and harm. There is nothing wrong with a certain amount of national and religious protectionism, with political decisions favouring some sectors over other…as long as these are acknowledged, open to discussion and operate in optimally equitable ways for all Jews. The still-mysterious, but comprehensible laws of economics, the means of subsistence, are part of the Divine natural laws that affect all living things and one could argue that it is woven into the very fabric of the Torah, if one chooses to notice and study this. Thirdly, the economics of kashrut, the industries of education and ritual infrastructures, the Temples as administrative and distribution centres, all of these and more bind Jews together in an economic and cultural pact. This is why Temujin wonders about where the religious debate over tehellet may lead and wants to know more about the substrata of the economics of supply and demand and the potential of halachic flexibility which would hopefully favour popular consent and inclusion, versus secretive monopolies, outbreaks of dissent and fragmentation. One share David Ohsie’s concern about the polarizing effect of turning this issue into an unnecessarily politicised rationalist vs. Hareidi (and vice-versa) free-for-all. Must look into this one. Temujin is still trying to work out how the Chabad version of the menorah would work if it was based entirely and "literally" on the Rambam's schematic drawing, with the oil receptacles at the branch tips tilting off at an angle. The issue of techeilet in modern times was also discussed rather extensively in Gil Student's blog some years ago, as I recall, with the participation of some of the leading figures such as Ari Greenspan of Ptil Techeilet, the critic, Mendel Singer, and others. I participated in those discussions at a time when I had done some serious reading on the subject. I can rely only so much on my memory, but the Wikipedia article on Techelet links to a debate between the Stermans and prof. Koren on the color and process of the Hexaplex (Murex) trunculus dye, i.e., whether it should be photodebrominated or not to give a blue or blue-purple dye, respectively. If the precise color of the "murex" dye matters, then the Ptil Techelet dye may not fulfil the mitzva of techeilet. On the other hand, there is some question as to whether the precise tone of blue matters. I claim no ability to resolve that issue, but would refer to some sefarim that deal extensively with this question (in Hebrew). One, I believe, is by the originator of the modern techeilet issue, Rav Tavger. The other is by Shlomo Taitelbaum. One issue that can be laid to rest is the inadmissibility of the cuttlefish dye as produced by the Radziner process. The cuttlefish is not a shelled sea creature but a cephalopod(although it has a cuttlebone). The dye that it produces is sepia (dark brown) colored which is, by itself, totally inappropriate for techelet. The Radziner process takes that dye, puts in a cauldron with iron filings and potash, and heats the mixture to incandescence. That high temperature destroys any organic material, but produces a cyanide dye (Ferric ferrocyanide, also known as Prussian Blue). The same is produced from many other organic materials that contain nitrogen atoms such as ox blood. In other words, the cuttlefish dye is completely transformed into an essentially inorganic dye. I see no way, that this could be considered a 'kosher' techeilet. For someone to accept that dye and cast doubt on the "murex" dye shows lack of credibility or expertise on the matter. I see no problem with wearing the Ptil Techeilet strings on a wool or cotton garment (really, anything other than linen). The issue with linen garments is the possible violation of the biblical prohibition against mixing wool and linen in garments if the mitzvah of techeilet is not being fulfilled. As noted by Joe, this was even a consideration (at least in Jerusalem) in Tanaitic times since wool dyed with plant indigo was often sold as techeilet. I disagree, however, with Joe's critique of the "murex" dye. It is, indeed, substantive (colorfast) to wool, but not to cotton. That's why freshly dyed denim material is washed to create that popular washed out look. I wish the issue of the color of the "murex" dye were settled, and that the current, as I understand it, "mom and pop" operations were better funded, organized, and mechanized. I believe that Ptil Techeilet has started to breed the snail in salt water tanks. This would provide for a renewable resource, particularly if the snails were milked via hypodermic syringe rather than crushed. They need the assistance of a mechanical/chemical engineer, marine biologist, and dye chemist, as well as funding to expand production and regulate their product. As it is, I have seen threads randing from deep blue to aqua. I do not know what you mean by the fact that Greece is outside the scriptural sources. The fact that the Hilazon was harvested off the shore does not mean that it could not be harvested elsewhere. I also do not think the snails are entirely dirt common. My understanding is that they command a price in Spain and Portugal. Also, they would be far harder to maintain back in the days when you would be restricted to local snails. But much of the price was probably labor. Even without the artificial monopolies, extracting the snail glands is a pain and a half. Incidentally, as the Yerushalmi makes clear, blowing shofar outside the temple is not a biblical mitzvah and this far better explains the halacha not to blow it on Shabbat than the Bavli's outlandish explanation. I'm just going to say that this obviously represents a different approach to halacha many "rationalists" will not go for in practice. The Bavli is generally considered authoritative in halacha. I don't think that has an impact one way or another on Techelet. The MT dye passes, but so does plant-derived indigo, so that doesn't help much (as I think that you mentioned above). 1) The chemical similarities (sorry for being so vague, but I don't understand the chemistry) indicates that they could be mistaken for one another, so that makes it a good candidate for Techeles. 2) Gemara is actually somewhat unclear. The Beraisa (in it's plain meaning) actually says that no tests work; and the tests are reported to fail sometimes, thus requiring additional tests; the last shita brought down did not rely on tests. R. Waxman elaborates on this: http://parsha.blogspot.com/2010/10/why-i-am-in-favor-of-murex-trunculus.html, although he gets into a digression about p'sak that I don't think is needed since the tests are not p'sak per se but rather, like medicine, a practical expedient, IMO. Its unfortunate that this Rabbi left such a bad legacy. Look at his grandchild in the Knesset today. A total Hiloni anti-Religious socialist. Another very informative debate is currently occurring between Baruch Sterman and Prof. Zvi Koren. They both agree on the identification of the Chilazon (Murex) but strongly disagree on the dying method and the exact shade of the color. Gabriel M wrote: MT dye will only adhere in a fast way to wool, not linen. Yes, it's hard to get a good uptake on linen, but it's not impossible. Indigo will penetrate linen to at least some extent, but a mordant dye that chemically bonds with wool will not form a similar bond with linen. I'm not talking from theory here; I have linen dyed with indigo that goes through a washing cycle without bleeding. This is actually used as a proof by the p'til tekhelet in numerous articles, thus casting further doubt on your claim to have read all their literature. Oh, for goodness' sake. Are we five years old and playing "gotcha"? There's not that much on their website; a good reader can get through it in a day or two even with reference to the cited texts. And as I say above, I'm talking about experiential facts, not literary references. Joe in Australia - maybe you missed that post when you were off studying Akkadian. PLEASE MAKE THEM STOP SENDING EMAILS WITH THE PARSHAS HAMAN SEGULAH FOR PARNASSAH!! Has anyone else noticed the hiatus? The Zoo Rabbi, our usually benevolent zoo keeper, abandoned us for over 24 hours to howl at the Moon, rattle the bars and snuffle at our empty troughs. Or was there a yom tov one missed? Oops! @Y. Aharon: ...the cuttlefish dye is completely transformed into an essentially inorganic dye. I see no way, that this could be considered a 'kosher' techeilet. For someone to accept that dye and cast doubt on the "murex" dye shows lack of credibility or expertise on the matter. Is this because Prussian (a.k.a., Parisian) Blue was not synthesized until the 18th century? Or is there any evidence that the process was chanced upon and then lost much earlier on? Up until the 18th century, colour-fast blue pigments were among the costliest around, even for paintings, but especially for textile dyes. Western and Eastern iconography typically illustrated Jesus and Mary in blue and crimson (another costly pigment) two-part togas to symbolize their high status in the Church's hierarchy. Another interesting trivia one came across is that the Radziner Rebbe's chemist who used cuttlefish blood to create Prussian Blue fooled his patron, the Rabbi, as he allegedly knew the process well and used iron fillings and potash in his mix. Joe did, though, indicate in an earlier post that indigo pigment, which is the ingredient of interest in the indigo plant as well as the Murex mucus, doesn't bond or attach well to vegetable textiles, as it needs animal protein (such as in wool...or Hercules' dog's furry snout) to bond. Thanks to Shimon S for the link to the debate on the Biblical Archeology site. An interesting point was made by a commenter, "Tom," about the issue of kashrut and the snail with, ...and they shall be abhorrent to you; you may not eat of their flesh, and their carcasses you shall detest. Another commenter, "Theresa" cites Job 14:4 ...who can bring something clean from something that is unclean? Good points, both, and this sort of stuff fluttered vaguely across one's mind earlier in the debate here, but one dismissed the issue on the assumption that the prohibition was strictly a dietary one, assuming also that the authorities would have at least commented on this. "Their carcasses you shall detest" and the "clean from unclean" bits do, though, throw a question mark on any assumptions that the Murex would hold a specially hallowed or kosher status. Then a tentative explanation on the acceptability of the Murex abomination by a fellow on the Biblical Archeology site, "William," who thinks he has it solved when he goes off on an odd mélange of a tangent of Buddhist, universalist-pacifist and presumably Christian pietism, single-handedly paskening that purity laws are "stuff that brings all religious groups to periodically indulge in ethnic cleansing of their so-called impure, heretical, or pagan neighbors." Gosh. Well, that settles that then, with the reminder about the spirit of tolerance and scholarly neutrality in the academic Bible scholarship field. No doubt the P'til Tekhelet fellows and others here have other explanations? Temujin, my comment had nothing to do with the time of origin of the cyanide dye (Prussian or, if you insist, Parisian Blue). You can, in principle, obtain the same blue dye by starting with any nitrogenous organic material. The extremely high temperature generated in the Radziner process will convert any such organic material to cyanide. In other words, the specific starting material is irrelevant. I mentioned ox blood because that was once a common starting material for the dye. The cuttlefish sepia is then an incidental source. Even if one claims that the cuttlefish cephalopod is an acceptable identification of the talmudic hilazon (which it isn't), the blue dye isn't directly related to it. You could just as well synthesize the dye in the laboratory from inorganic cyanide ion and a combination of ferrous and ferric ions (different oxidation states of iron). Joe, I seriously doubt you can get through all that material in a "day or two," even if you read for 48 hours straight. And they publish entire sefarim that aren't available there. Warren, that's kind of unfair. You may think, as I do, that his ideas about the Arabs and the economy are dangerously foolish, but he's not anti-religous and may well be religious himself. Certainly Rav Herzog has many fine, religious descendants. Temujin: In absence of any evidence, I like to think that the non-Jewish chemist simply didn't get it and thought, "You want blue? I'll give you blue." Temujin: It's logically possible that Prussian Blue was invented at some time in history, and forgotten, but tekhelet definitely isn't Prussian Blue. We know that tekhelet (or a dye with the same name) was being traded in the region of what is now Turkey and Syria around three and a half thousand years ago, and that it was considered extremely valuable. Then we have it mentioned in Jewish sources through the first few centuries of the modern era, perhaps a bit longer. So tekhelet was around for almost two thousand years. If Prussian Blue was around during that period at all, it must have appeared and disappeared without spreading widely, because there's no archeological or written record of its use. Nachum: I'm flattered but surprised that you have a high opinion of my intellect. I don't think there's anything remarkable about reading those documents in a day or two. Have you tried? Temujin, as I recollect, the issue of the 'detestation' of a snail ('murex')source has been raised in halachic discussions over techeilet and generally dismissed. My understanding is that Lev. 11:11 instructs the 'detestation' of the corpse of a forbidden-to-eat sea creature, but not that which is extracted from the snail while still alive. While the cracking the snail's shell may kill the creature while one is extracting the secretion, that is not the desired result since the dye is quickly degraded once the creature is dead. Hence extracting material from the 'murex' for the purpose of fulfilling a mitzva is not a problem. Similarly, the crimson carminic dye used in Tabernacle (and temple) was made from the eggs of an oak tree scale insect (Kermes). You are probably right, Joe. The chemical test for Prussian Blue is probably not hard to conduct, as iron content and cyanide are fairly easy to detect. It's just that it seems so easy... iron filings and lime(? )...and the 1830s invention seems like a fluke almost, that one can imagine an accidental discovery and then a lost formula during one of the many historical upheavals. Or, we could just end this headache with an Erik von Daniken hypothesis: blue from space aliens, case closed. Y. Aharon, that does make sense. Which leads one to the frustrations and confusions. Having an online board with lists of points would greatly improve such discussions. Having facts or claims listed in the three main areas ...the chemistry, the history and the halakha...would go a long way. Temujin struggled long and hard to get basic info through a lot distractions, one of which was his forgetfulness. One must admit becoming quite partial to Professor Zvi Koren's claims. The main reason is his systematic approach, where he lays out the history and the halakha for all to inspect, submits sound archeological arguments based on credible sources and describes his experimental work. The P'til Tekhelet crowd, on the other hand, is quite earnest, has settled on a conclusion, invested heavily in it and aggressively pursues it in a top-down approach. One was initially swayed by their politics and one's own bias towards the National versus the Hareidi camp, but the heavy advocacy, as opposed to an open and investigative approach of the Ptil began to pop little red flags over the last few days. The kerfuffle with Dr Koren on the Biblical Archeology site was an eye-opener; in the debate he was treated like a commercial competitor or an opponent in a civil suit, rather than as a useful and competent colleague with a different hypothesis. Regardless of which way this will go in the future, from what Temujin can see, the P'til folks have not convincingly countered any of Dr Koren's claims and they'll need to enter much bigger in the arena. We can't always understand all issues or the science of many claims out there, assuming we can even get our hands on the important facts, but we certainly can rationally evaluate the methodologies of the claimants and ascribe levels of probability and credibility. Hi All, just stumbled onto this blog ... It's amazing to read all the theories presented here and many unfounded hypotheses regarding Tekhelet. As a person interested in this subject, I can only rationally agree with a certain viewpoint if the scientific method is used. I just read Prof. Koren's most recent scientific and detailed article and in it he finally spells out what is, in my opinion, the correct science of it, and dispels other points that have no basis in the scientific possibilities known in ancient times. It basically destroys many long-held beliefs that have no basis in science, so hold on to your chair. It's about time that someone finally puts the science of Tekhelet in the correct manner. If you Google "Zvi Koren Molluskan Purple" you'll find the reference to his article. Via Tanach...did Hashem state the exact color or the source?...or did He simply say "wear blue on the fringes"
...as He left out the details, clearly felt it non important to doing His will, perhaps we would be well advised to do the same, not add or subtract (Devarim), and simply do as he said... Perhaps He knew there would be many dyes, in the future, that could mark a thread blue and preferred not to be specific...?